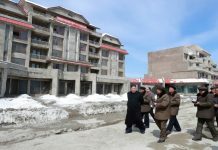 With a notable emphasis on structural integrity and follow-up assessments, the North Korean authorities have opened another building within a new apartment complex in Ryanggang Province to hundreds of families. 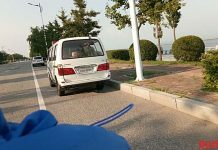 A second round of over 500 families has moved into another building in a new residential apartment complex in Hyesan, which falls under the umbrella of Kim Jong Un’s broader Samjiyon restoration plan. Originally slated for completion by the end of 2018 and declared fit for purpose in early 2019, the Cabinet, which oversaw the project, brought the opening of the building forward to accommodate more families by the end of 2018, as temperatures plunged to minus 10 degrees Celsius. “All people could talk about at the end of October in Hyesan was the snow and how cold it was,” a source in Ryanggang Province said, explaining the revised plans. The construction and oversight organizations typically form an inspection committee, which must sign off on safety requirements before electricity and water are provided to the facilities and it can be opened to the public. While a preliminary inspection was carried out, the full inspection involving construction supervisory boards and the municipal level People’s Committee and Management Committee will take place in six months. When building construction is completed in North Korea during the winter, swelling plaster and wall cracks emerge in many cases when the weather warms up, and the assurances by the authorities to swiftly resolve any such damage suggests that they are expecting at least a partial reconstruction to be required. The declaration is significant, suggesting potential changes to North Korea’s longstanding practice of “speed battles” emphasized for construction efforts. Speed is often emphasized at the expense of safety and quality, exacerbated by a lack of building codes and a chronic shortage of good quality concrete and steel reinforcements. 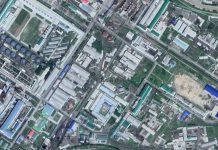 The resolve to prevent another tragic accident like the May 2014 collapse of a residential complex in downtown Pyongyang, which saw over 300 fatalities, is also likely to be behind the recent emphasis on structural integrity. But the extent to which the orders are being enforced remains unclear. For their part, the new tenants appear satisfied with their new living environment, according to a separate source in Ryanggang Province. “The government puts a lot more care into construction these days, even the interior design. In new places, the heating works, the kitchen tiling looks good, and it’s very comfortable. People particularly like all the windows that let the light in. It makes things a lot more cheerful,” she said.